Presenting the vibrant cultures from various ethnic groups that surround the mesmerizing Lake Sentani in the Jayapura Regency, Papua Province, the exciting annual Lake Sentani Festival will again take place this year from19thto 23rd June 2017, centered at the special Tourist area of Khalkhote in East Sentani. This year, the festival carries the theme "One in Diversity to Achieve Greatness" which reflects the spirit of unity and harmony shared by the diverse clans around the lake. 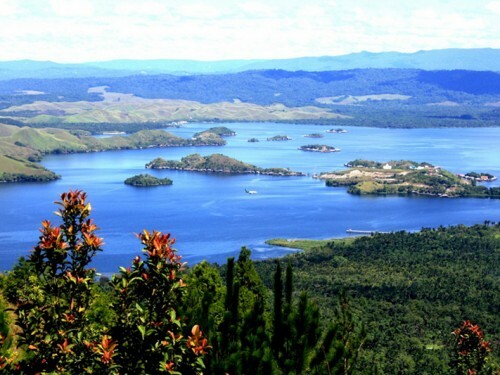 Lake Sentani is one of the largest lakes on the island of Papua, - Indonesia's most easterly province - located near the provincial capital city, Jayapura, on the north eastern coast of the Indonesian side of New Guinea. On the lake are houses on stilts equipped with nets to haul in the daily fish catch. There are more than 33 species of fish found in Lake Sentani with half of these endemic. 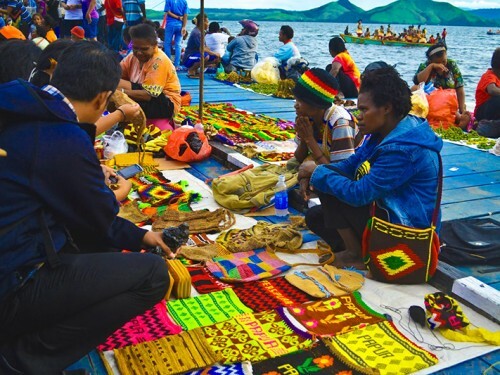 Tourists to Sentani enjoy swimming in the lake, chat with the friendly locals, watch the process of making sago, try the local delicacies or taste the matoa fruit that is found in abundance sold along the roads or in the local market. As in previous years, the event will be highlighted with a range of fascinating cultural attractions presented by different tribes living around Lake Sentani which will be performed both on land and on the huge lake. The festival will also introduce regional songs, handicrafts, culinary contests and bazaars, as well as hair braiding as features of local culture. The festival will also offer some of the best products of the region including cocoa, coffee, and dragon fruit, Batik Papua textiles, tree bark crafts, and a whole lot more. Among some of the most anticipated highlights of the festivalis the Isilo, a traditional colossal dance on boats that involves hundreds of performers,a war dance, and also a massive cultural parade. The war dance and parade have always been an essential and sacred part of the festival. This year, there will also be the installment of the Ondoafi, or the leader and custodian of the tribes' customs and traditions. Deputy of National Tourism Marketing Development of the Ministry of Tourism, Esthy Reko Astuti explained that the Lake Sentani Festival 2017 plays an important role in the preservation and development of cultural values as well asthe creativity of communities living around Lake Sentani. Underscoring that the festival is a perfect example of how different ethnicities, religions, and race can converge and live in harmony and unity. "The three main agendas ofthe Sentani Festival, next to the Archipelago Carnival, are Cultural Performances, Art Exhibition, and Tours. All members of the community are participating in all the agendas regardless of their tribe, religion, and origin. That is truly the beauty of the people of Papua," added Esthy Reko Astuti. Meanwhile, Minister of Tourism, Arief Yahya expressed his enthusiasm about the event. According to the Minister, Lake Sentani is one of the most fascinating natural wonders located at Indonesia's most eastern province . "Lake Sentani is indeed a marvel; I wish all Success for the Lake Sentani Festival 2017 and all the communities of Jayapura" said Minister Arief Yahya. To reach Lake Sentani, take a flight from Jakarta, Surabaya, Bali, Makassar, or any large city in Indonesia to the city of Jayapura. From the city take a small bus west to Lake Sentani which is reached in about half an hour. 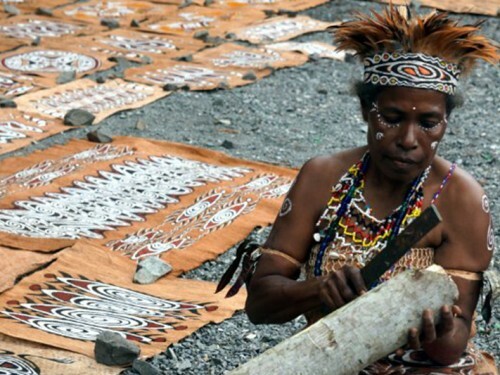 The Sentani Lake Festival is one of three most impressive Festivals on Papua next to the Baliem Valley Festival (held in August), and the Asmat Festival (held in October), that together offer the best and most comprehensive presentations of this huge and beguiling island of Papua. The Chicken market bridge is the last remaining drawbridge from the Dutch era, it is at the north end of the Kali Besar. Buses always come by on their routes and the city train also has a stop here.